Our guide to San Diego will help you find the best wine spots in San Diego California. Although San Diego is the eighth largest city in the country, it's stayed true to its laidback surfer vibe mentality. If you're looking for trendy boutique hotels, an exploding culinary scene, and big-city nightlife, with a side of beach bum mixed in, you're in the right place! For families, San Diego is ideal. If world-famous destinations like the San Diego Zoo, SeaWorld, Belmont Amusement Park, and LegoLand (in nearby Carlsbad) aren't enough, families can take advantage of an abundance of museums, a children's theater, a puppet theater, and all sorts of other, lesser-known but no less entertaining attractions. With this much to offer, it's no surprise that tourism plays a major role in San Diego's economy. Other big contributors include biotechnology, agriculture, manufacturing, and defense-related industries. The US Marines and the US Navy maintain several bases in the county. There are tons of great wine spots in the city of San Diego, our city guide will help you find the best wine spots. You may have a hard time deciding what to do in San Diego, but we make your decision easy. 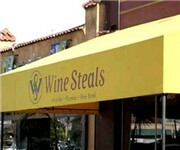 1927 4th Ave, (619) 255-2856 - Wet Stone Wine Bar & Cafe is a wine bar located in San Diego CA. 2556 Laning Rd, (619) 223-3348 - Mellow Wine Bar is a wine bar located in San Diego CA. 3422 30th St, (619) 906-4747 - A casual eclectic environment, celebrating an array of the world’s most distinctive wines in San Diego’s unique North Park Neighborhood. 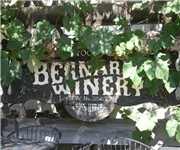 3968 5th Ave, (619) 294-9200 - The Wine Lover is one of San Diego's oldest wine bars. We offer a list of international wine and beer by the taste, flight, glass and bottle. 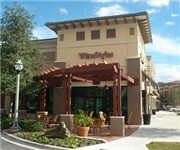 4365 Executive Dr, (858) 597-1188 - Venice Ristorante & Wine Bar is a wine bar located in San Diego CA. 4711 34th St, (619) 283-7449 - Proprietors Reserve Wine Bar is a wine bar located in San Diego CA. 7094 Miramar Rd, (858) 549-4422 - Excalibur Cigar and Wine Bar is a wine bar located in San Diego CA. 830 Kline St, (858) 729-9905 - Burgundy Grill & Wine Bar is a wine bar located in San Diego CA. 1250 Delevan Dr, (619) 232-6136 - Southern Ca Wine Merchants is a wine shop located in San Diego CA. 4060 Morena Blvd, (858) 270-9463 - Truly Fine Wine is a wine shop located in San Diego CA. 647 g St, (619) 236-0005 - We offer an extensive selection of eclectic, highly-rated and small production wines from around the world. Our Italian, Spanish, Californian and "
13330 Paseo del Verano Norte, (858) 487-1866 - Bernardo Winery is a winery located in San Diego CA. There are plenty more wine spots in San Diego. See all wine spots in San Diego California.